I am very often asked to review and comment on patents in 15 minutes or even less. In those cases I normally am not requested to provide too much detail due to lack of time, but of course clients still want relevant feedback about each patent. Clients will typically indicate what aspects they want detailed, but in any case there really is one overarching question — that is, “How likely is use of this patent?” To arrive at an answer (such as an estimated probability), an analyst must first ascertain what the key elements and limitations are, and should do so not only for claim 1 or the shortest independent claim, but for all independent claims. From that assessment, the analyst can then focus on one independent claim for providing comments, though sometimes it’s best to indicate differences in claim scope that could impact assessments. When I tell other analysts that one really should review all independent claims, even in a 15-minute review, often the response is that I’m crazy. And perhaps I am, and in fact it wasn’t that long ago that I said that 15 minutes wasn’t long enough to analyze all independent claims in a patent. But it bothered me because of all the times that I saw that the most relevant claim was not actually claim 1 (supposedly the “representative” claim) or even the shortest claim. So what could be improved to allow for a fuller review in just 15 minutes, or even less? Disclaimer: this technique will not work for outliers like this exceptional patent application, which has 7,215 claims: http://www.google.com/patents/US20030100451! The answer for me, which I wish to share with you, is the use of software tools — for now my favorite combination is Google Patents (in a particular format) and my free Patent Claims Tree Google Chrome extension. 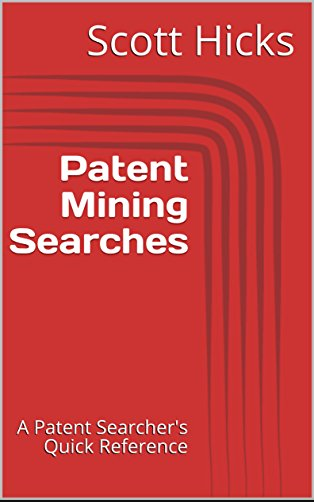 Google Patents has been around for years, but for a while I found that many patents were missing, and I preferred the presentation and layout of FreePatentsOnline. But over time Google Patents improved, and eventually they modified their layout such that I can hardly envision a better format for efficient review of a patent. This format may continue to evolve over time, and perhaps it will even get better, but it certainly is already great — as of this writing, Google Patents has multiple layouts, but the one I particularly like is the format provided for webpages with the following syntax: http://www.google.com/patents/US<patent_number>. 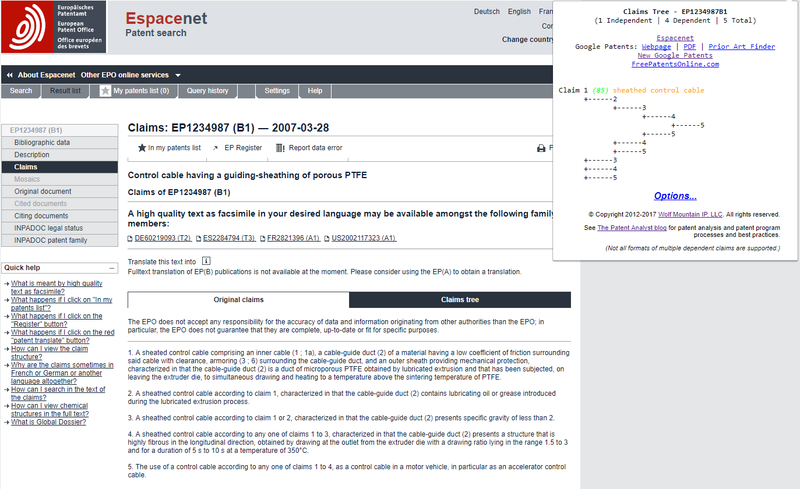 Take a look, for example, at: http://www.google.com/patents/US7654321. 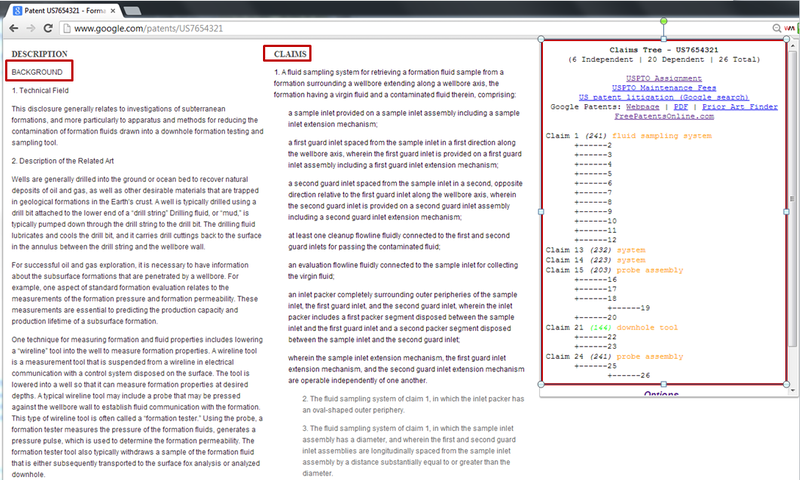 The title, abstract, and relevant metadata are all presented at the very top of the page in a compact and easily-readable view. Just below that is a set of all images, which can be quickly expanded and perused, and sideways images can be easily rotated. All images can be visually scanned in less time that it takes to open the patent’s PDF file! I find this presentation to be incredibly helpful and fast. The speed at which patent claims can be reviewed using this presentation is key since time is so limited. With an appropriate input device such as a mouse with a scroll wheel, it is possible to scroll through the claims in Google Patents while the claims tree remains open. Additionally, note all the helpful information presented at a glance in the claims tree: the number of independent claims, which claims are the independent claims, the shortest independent claim, the relative word counts of the independent claims, the type of claim for each independent claim, the relative amount of dependent claims for each independent claim, and which claims use means-plus-function language. Sure, it’s possible to figure all of that out manually, but just that alone would probably take more than 15 minutes by itself. Those metrics help in determining which independent claim should receive the bulk of your attention. In the example above (I like to use 7,654,321 because it’s a nice number :)), one can quickly determine that in this case there are six independent claims covering a variety of types of coverage, though the “downhole tool” of claim 21 is by far the shortest claim (by about 60 words), so review should probably start there. After reading that claim, if the claim seems to have sufficient coverage, then probably only cursory reviews of the other independent claims are necessary. There are other possible considerations that can be made at a glance as well — e.g., perhaps the client has indicated that it has a threshold for claim word count, so some claims can be discounted rapidly. Or, maybe only claims with a certain type of coverage are desired, and so the claim type can be used to focus on specific claims. In any case, using the three-column presentation, it is normally quite feasible with most patents to have time to read and understand all independent claims, and therefore pick out the best. 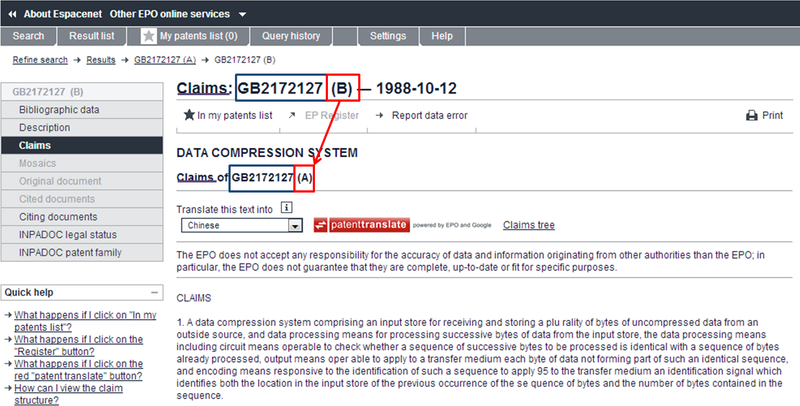 If you want to find, for example, all method/process claims, this information is there in the tree. Should supplemental background information be needed, it’s right there. Should a figure or two be helpful for understanding scope, it’s simple and speedy to pop them up without a PDF. Should the priority date need consideration, it’s right there above the images. This approach works quite well for me, and I bet that it will for you too. I am now quite confident in performing 15-minute patent reviews for most technology areas with which I am familiar. There are exceptions of course, but the techniques and software described above have greatly expedited my reviews, making 15 minutes much more comfortable than they used to feel. If you have additional efficiency tips, please share them in the comments.